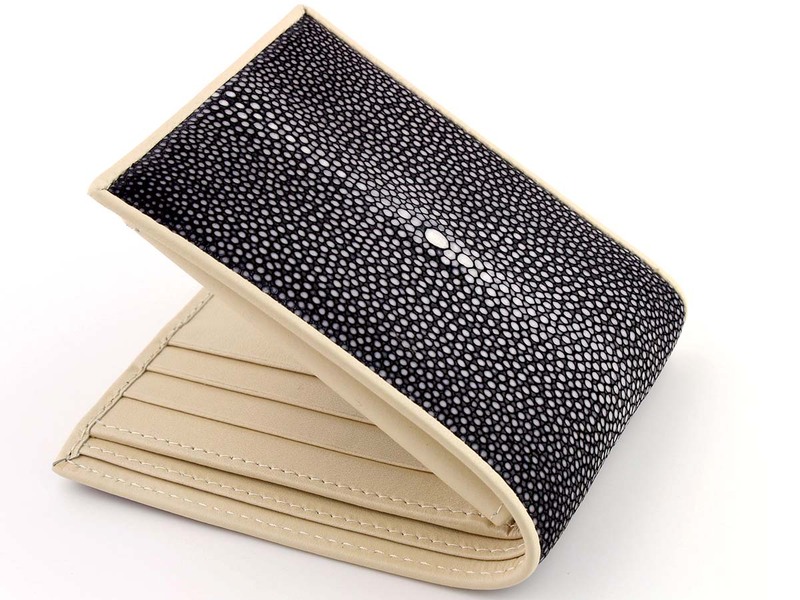 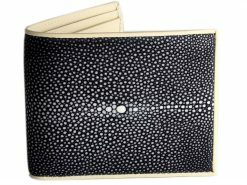 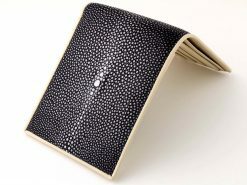 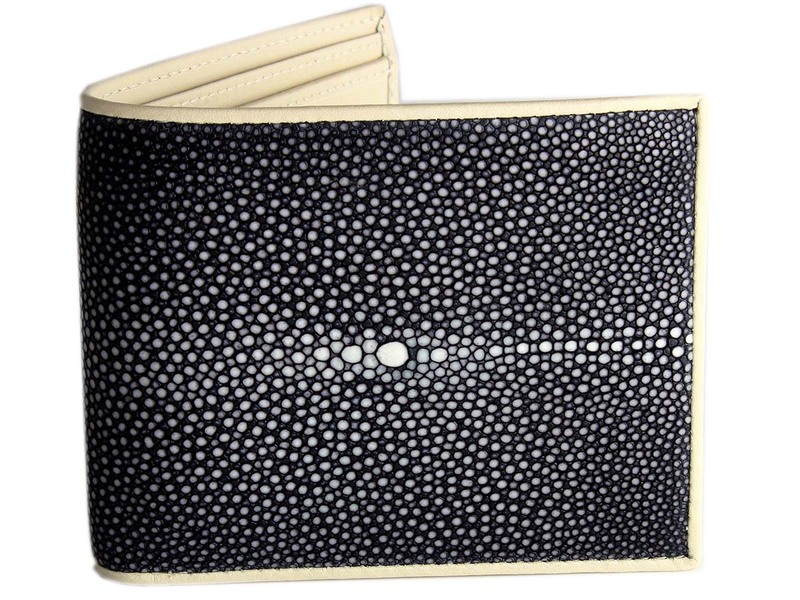 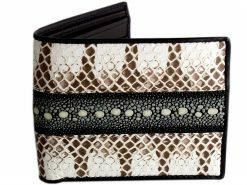 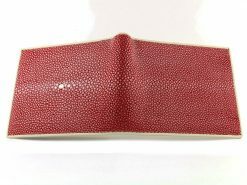 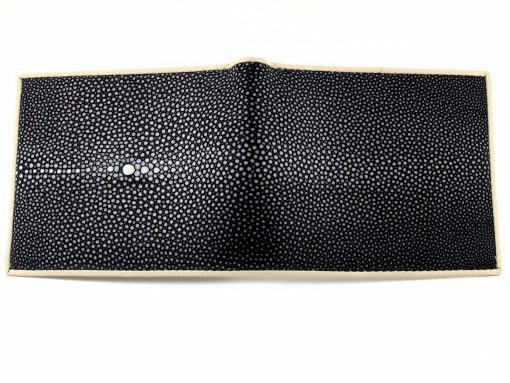 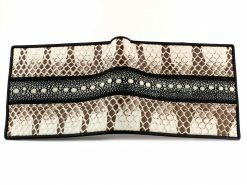 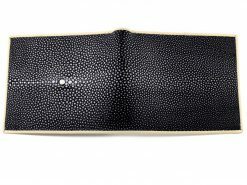 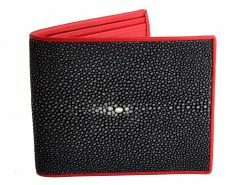 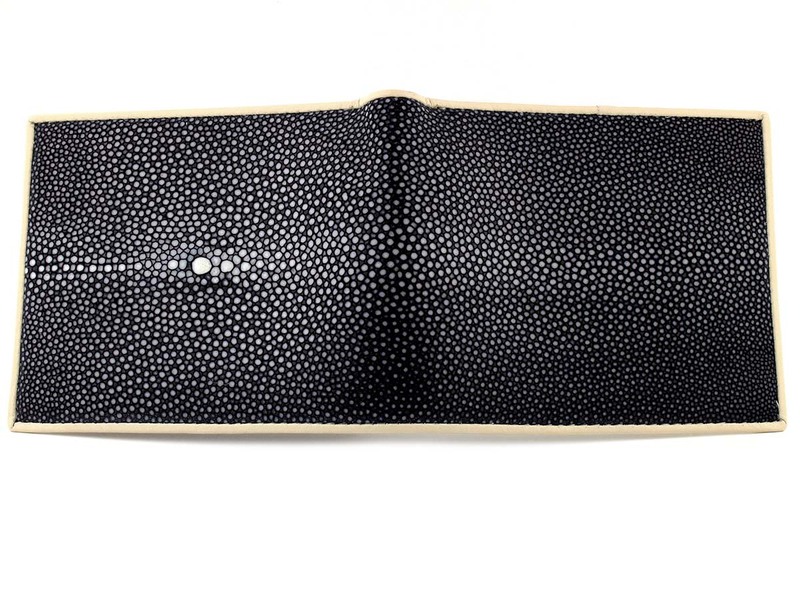 A unique stingray wallet. The beautiful natural patterns are highlighted by the sanded black marble finish with a contrasting cream interior. 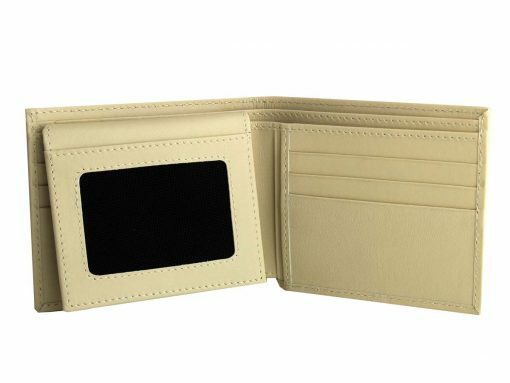 A striking and elegant accessory, you’ll be instantly be in control as you pull out your wallet to show the officer your driving license. 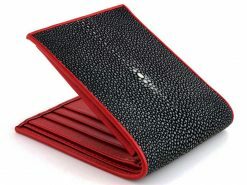 As he spots your wallet and becomes completely mesmerized, he waves you on with a polite warning. We don’t guarantee these scenarios will play out in real life but hey, you look damn fine. 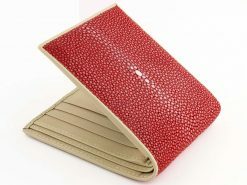 This is a classic mens wallet and very popular with our customers.